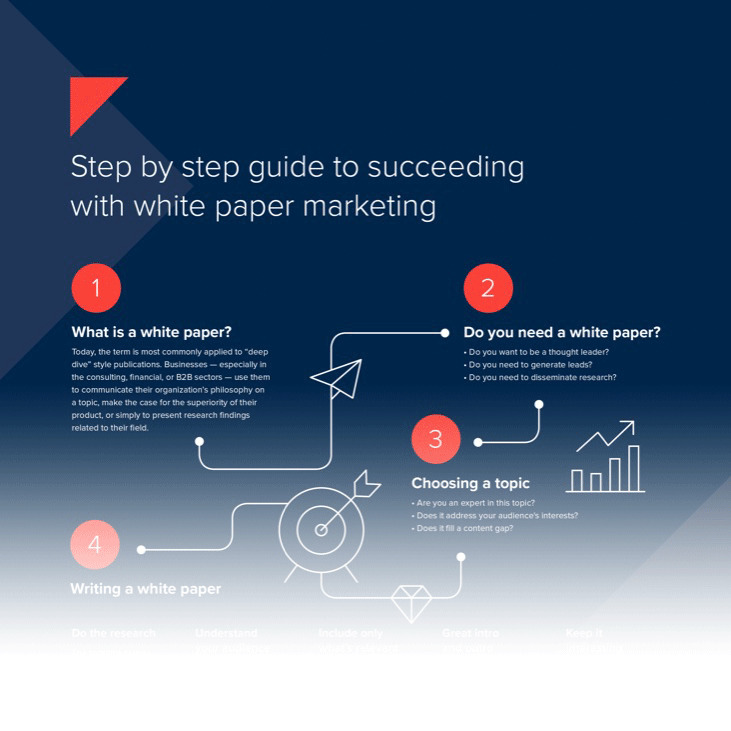 The step by step guide to succeeding with white paper marketing. 1 What is a white paper? White papers are a popular and powerful tool for content marketers. They can be used to position your company as a thought leader, to present useful and persuasive research and information about your products and services, and to generate leads. This ultimate guide will teach you everything you need to make white paper marketing a formidable addition to your content marketing strategy. 1. What is a white paper? In the world of marketing, a white paper is a long-form piece of content, similar to an eBook. The difference between the two is that white papers tend to be more technical and in depth. The facts and opinions expressed in white papers are often backed by original research or statistics that the publisher has aggregated from reliable sources. They often include charts, graphs, tables, and other ways of visualizing data. The term "white papers" originated in England as government-issued documents. One famous example is the Churchill White Paper, commissioned by Winston Churchill in 1922. Today, the term is most commonly applied to “deep dive” style publications. Businesses — especially in the consulting, financial, or B2B sectors — use them to communicate their organization’s philosophy on a topic, make the case for the superiority of their product, or simply to present research findings related to their field. White papers are no less editorial than other forms of content, but the depth of research lends them an authoritative tone. For this reason, they are good candidates for promoting thought leadership. In the past, white papers were most often produced by governmental agencies, NGOs, think tanks, consultancies, and financial institutions that needed to present the findings of their ongoing research in a succinct format. With the widespread growth and adoption of content marketing (the creation and distribution of non-promotional content intended to generate interest in a business and its offerings), white papers have become more common in other industries as well. Any organization that engages in content marketing can benefit from producing white papers. Their popularity across industries is due to their versatility. While all white papers have certain elements in common, a B2B startup will use them differently than a large consultancy, and both will use them differently from a governmental organization. There are numerous types of white papers a business might publish. One type is the backgrounder, in which the benefits of their product, service, or methodology are explained in depth. Another is a problem-solution approach, which walks the audience through the solution to a problem that is common in their industry. Other types of white papers simply present a summary of useful statistics and information about the state of a particular field or industry. An example of this would be the 2018 Content Marketing Benchmarks Budgets and Trends from the Content Marketing Institute. Whatever type you produce, the contents of your white paper should serve to showcase your expertise in a given area. Your audience is searching for information, and will look for an authoritative source — a business they perceive as having in-depth knowledge of a subject. The contents of your white paper should serve to showcase your expertise in a given area. White papers enable you to build trust with your audience. They show readers that you're reliable, experienced, and adept in a given domain. When potential customers search for information to help them understand a problem or opportunity they're facing, and you provide them with a quality white paper that helps, they'll turn to you again in the future. This perception of authority can also serve to boost sales in an organization. More than half the respondents to the Eccolo Media B2B Technology Content Survey reported having read a white paper before making a buying decision. Buyers prefer to purchase from vendors they trust and see as experts in their field. Finally, white papers are extremely useful for lead generation. The 2017 Content Preferences Survey from DemandGen found that more than three-fourths of survey respondents were willing to exchange personal information for a white paper — more than for eBooks, case studies, analyst reports, podcasts, or infographics. With all of these potential benefits, utilizing white papers in your content marketing strategy can produce great results. More than three-fourths of survey respondents were willing to exchange personal information for a white paper. Starting a white paper can be a daunting task. So much information and research are required that it’s easy to get lost in that portion of the work and let it become a roadblock to actually putting things on paper. Even after the writing itself has begun, white papers are tricky to do well. Simply listing statistics without some form of narrative arc is a surefire way to keep your white paper from ever being read. Luckily, following a few simple guidelines can help keep a white paper engaging and make the process of finishing it much easier. It should be something you are qualified to write about. It should be something your audience is interested in. It should address a topic around which little content has been written already and thus fill a " content gap." Naturally, finding a topic that brings points 1 and 2 together is vital. White papers are meant to be authoritative pieces of content based upon the author's experience and expertise, so it's important to write about what you know. But you must match this to the interests of your readers if you're to produce something they'll be eager to engage with. Don't be afraid to crowdsource information from within your organization. If the topic of a white paper is related to engineering, why not interview an engineer or have them look over what you’ve written? The same goes for other roles. Crowdsourcing knowledge means having the power of a true expert in many fields. Finally, filling a "content gap" will help your white paper get noticed and gain traction. By addressing a topic no one else has written about definitely, your white paper will be more likely to rank highly on search engines and even be featured elsewhere on the web. Pro tip: You can even ask your audience what they would like to see in your upcoming white paper. You'll get ideas, make your topic more relevant, and you'll generate buzz around your content even before it's finished. In fact, we used the same method for this guide! Defining your audience goes hand in hand with choosing the right topic. But moving beyond your audience's interests, it’s important to think of the kinds of people who will be reading your white paper. Are they fellow professionals, well versed in your subject? Are they likely to be reading something they are relatively unfamiliar with? Knowing this helps establish the voice you should use and whether industry-specific jargon is appropriate. It also narrows the scope of the research you should include. It’s always important to ensure all arguments are logically sound and well supported, but the stats and information presented should be relevant to the specific audience you're targeting. Part of defining an audience in the age of Google centers around how people will find the white paper. This means thinking about which platforms specific personas use for research and what search terms they put in. Not only will this help a white paper get found by the right people, but it is useful when outlining the white paper later on. Optimizing for keywords is important, but remember to write for people, not for search engines. Google is getting better all the time at understanding and matching search intent with relevant content. Like with all good writing, your intro should serve to captivate your audience, pique their curiosity, and entice them to read further. It's good practice to provide a brief summary of what they'll find in the white paper and to emphasize exactly what benefit they'll get from reading it. Your outro is equally important, especially if you're using your white paper to market your products or services. You should avoid any self-promotion in the body of your white paper, but you can certainly mention your relevant product offerings and how to obtain them — perhaps using a compelling call-to-action — at the end. White papers are not meant to be advertisements for your company, and you should avoid any overt promotion. Instead, you should provide plenty of useful information that will be valuable to readers even if they don't become customers. Emphasizing value is the key to a great white paper that will get shared and widely read. Remember, white papers serve to showcase your expertise as a company or brand in a given field. Your readers should come away having learned something useful and with the impression that you're a reliable source of expert information. As pointed out earlier, generating this kind of reputation will lead to greater business success as buyers are more likely to purchase from companies they trust. Emphasizing value is the key to a great white paper that will get shared and widely read. No first draft is ever a finished work. Elizabeth Bishop, the renowned and Pulitzer Prize-winning poet, wrote seventeen drafts of her poem “One Art” before it was completed. It’s now considered one of the best villanelles ever written. While a white paper may not need seventeen drafts, there will undoubtedly be points missed and logical inconsistencies in the first version. Finishing a draft, stepping away, and coming back to it with a fresh mind is the best way to ensure quality. If there’s another good writer at your company, getting another set of eyes on it is even better. White papers should be more detailed and thorough than blog posts or eBooks. This may cause them to be more dry and formal, but this doesn't mean they have to be boring. A trap that white papers easily fall into is using statistics as a crutch and not maintaining interest throughout. Technical as it may be, you still want your white paper to be read. To make this happen, it’s useful to borrow techniques from fiction and creative nonfiction writers. These won’t always correspond perfectly in a factual piece of writing like a white paper, but they can get you thinking about how to create and hold interest. Use those ideas to keep readers’ attention until the very end. There are some pitfalls and common mistakes to avoid when writing a white paper. Each of these has the potential to make an otherwise stellar piece of content into a wasted effort. Here's a brief list of things to look out for. When white papers are used as part of a marketing campaign where businesses showcase their product, a common mistake is to make them sound like a sales pitch. Don't let this happen; it will immediately turn your readers off. In a white paper, your audience is seeking unbiased, educational information that will help them, not try to persuade them. 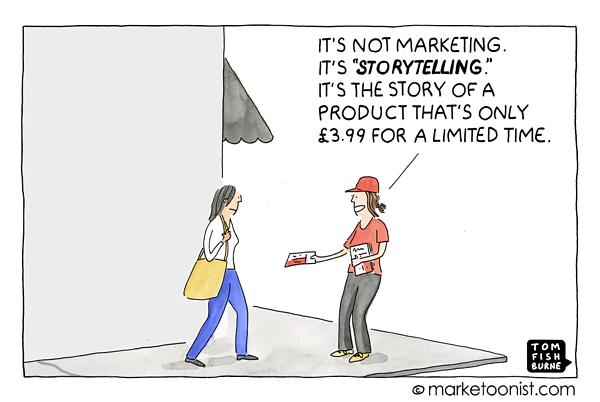 Save the sales pitches for other content, like product brochures. As previously mentioned, white papers should be well-researched documents. It’s true that conducting lengthy original research may be outside a marketing team’s budget, but merely including a few stats from the first page of a Google search simply won’t cut it. Aggregating statistics and searching through scholarly work may take time, but the result will be worth it. For your white paper to achieve its intended effect, It’s important to establish your content as an authoritative source to which the audience would want to return. We'll go in-depth into design in the next section, but it's worth mentioning here. The written content of a white paper is what matters most, but neglecting design is a big mistake. Designmakes your salient points stand out and helps the reader understand what they're reading. Using visuals (like images, videos, charts, and graphs) that support your arguments is crucial. Check out some white paper examples built with Foleon to see examples from clients of ours who have an eye for design. White papers are informative and factual. We’ve driven that point home already. That doesn’t mean they should be boring. Backgrounders, problem-solution white papers, and research findings all have a story to tell, and the reader is far less likely to make it through the entire piece without some form of narrative to keep them engaged. 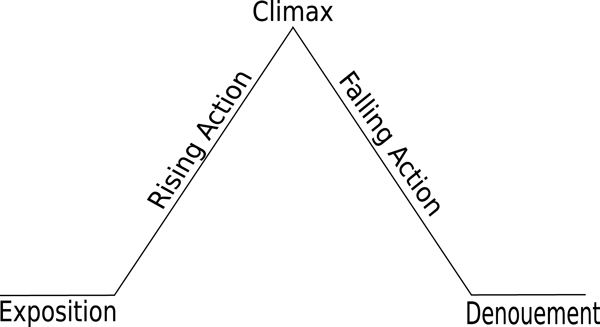 Setting up a problem, elaborating on a solution, and including some type of success story is a proven formula for making any type of content more story-like. Because most white papers will involve sharing research findings, it can be easy to leave them in the realm of theory without explaining how to utilize those findings on a practical level. This is true more of backgrounders but can be the case with problem-solution white papers as well. A good example is the abundant amount of content on employee engagement. Many B2B cases have covered the importance of employee engagement and the pitfalls of getting it wrong. Too little of this content goes further and gives concrete examples of what companies in specific verticals can do to alleviate the problem. A picture is no longer worth a thousand words. Today, its value is in the number of eyeballs it can keep glued to your content and the ratio of those viewers it convinces to click through to other sections of your website. Your carefully crafted copy and painstakingly gathered statistics won’t earn those clicks on their own. The average human attention span is now less than that of a goldfish. And with 3.3 million Facebook posts, 448,800 tweets, and 149,513 emails sent every minute, competition for your readers' attention is intense, to say the least. Long form mediums like the white paper need serious sparkle just to compete. You'll need more than just black text on a white background. Your design choices regarding things like color, typography, and the use of visuals will play a prominent role in the success of your white paper. Here are a few important principles to keep in mind for creating a quality white paper design. Before addressing anything else, we first need to talk about the format you'll use. More than 50% of internet traffic is now mobile, and web designers have adapted to this trend by creating what's known as responsive design. Before this, web pages simply scaled according to the size of a user's screen, retaining their layout. Naturally, this made most pages both unreadable and unnavigable on smaller devices. But while this has become standard for web designers in a mobile-first world, producers of other digital content assets like white papers have generally not adapted. Surprisingly, most companies that offer white papers and eBooks on their websites still use PDF format. The problem with PDFs is that they're unreadable on smaller screens. They're fixed-layout documents — they can't adjust or adapt to different screen sizes. Reading them on a mobile device requires excessive zooming and panning around, which is a terrible experience for users. 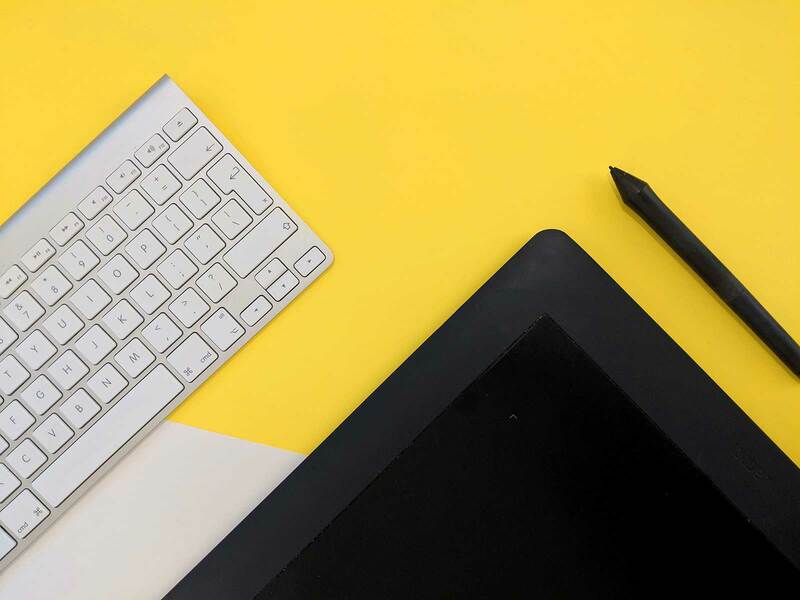 Because in-depth white papers contain lots of text and visuals, as well as supplementary information like footnotes, figures, logos and copyright info, the danger is that your design becomes cluttered. Clutter accumulates before you realize it. You may choose a clean layout and color scheme, to begin with, but as you continue to add content, things can get crowded. Often, you must make tough choices about what not to include to strike the right balance between completeness and readability. Good design makes bold choices and prioritizes important information. These choices and priorities affect layout, placement, color, font size, page order and more. Use these design elements to create emphasis on vital pieces of information. But be careful. Emphasizing too many pieces of information — or too few — will cause readers to struggle to discern what’s important. Good design makes bold choices and prioritizes important information. In 2018, bold fonts and color schemes are in. If you look at the hippest tech companies right now, you’ll see lots of pastels and color gradients. Of course, all that might change tomorrow. But still, a great way to get inspiration when you're just starting is to take a look at what design trends are currently popular. U2's frontman, Bono, sings "every artist is a cannibal, every poet is a thief." And he's right. Good designers are always drawing inspiration from other designers. The best way to create a successful design is to spend a lot of time looking at what others are doing successfully. Use Evernote, or a bookmarking service to save white papers and other exceptional designs that you encounter for future reference. Don’t know where to start looking? Dribbble and Behance are two networks where great designers share their latest work. They consistently have material that’s on the cutting edge of what’s trending. While trends may inspire you, it's more important to align your design with your audience and your subject matter. Will you be addressing suit-and-tie financial executives or blue-collar management at construction firms? Are you writing about changes to privacy regulations in the tech industry, or about the effects of farming on biodiversity? Your design should support and strengthen your topic. The colors and typography should be consistent with what you're writing about, the tone you've chosen, and the audience you've defined. Writing a white paper for a funeral parlor? Hot-pink headlines might be a bad choice. 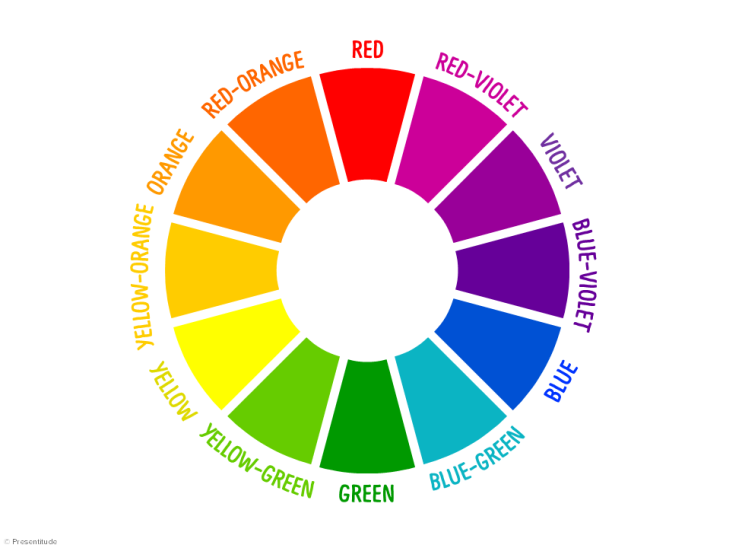 Taking color psychology into account can help you achieve the look and feel you're after. No prior knowledge of design? No problem. 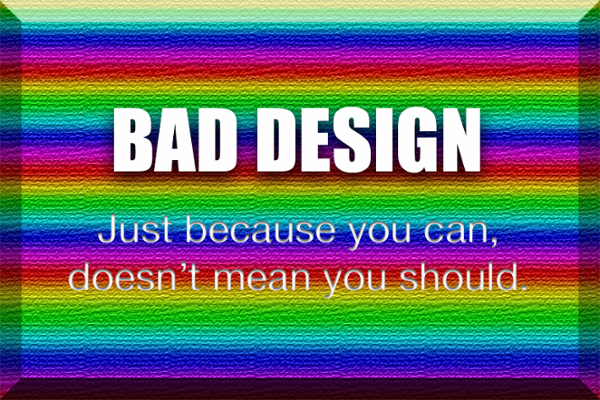 If you don’t have a designer working with you in-house, you can still teach yourself the basics of design and check work against those principles. A big part of the battle is knowing the search terms that will get you the knowledge you need. Luckily, good primers on basic graphic design are abundant. After doing a bit of reading, start creating. Don’t be afraid of making mistakes. If you create a white paper and don’t like the design, try to pinpoint what it is about the design that needs improvement. After the reading you’ve done, you’ll have the tools to critique your own work and the work of others. This is the best way to improve and create well designed white papers. 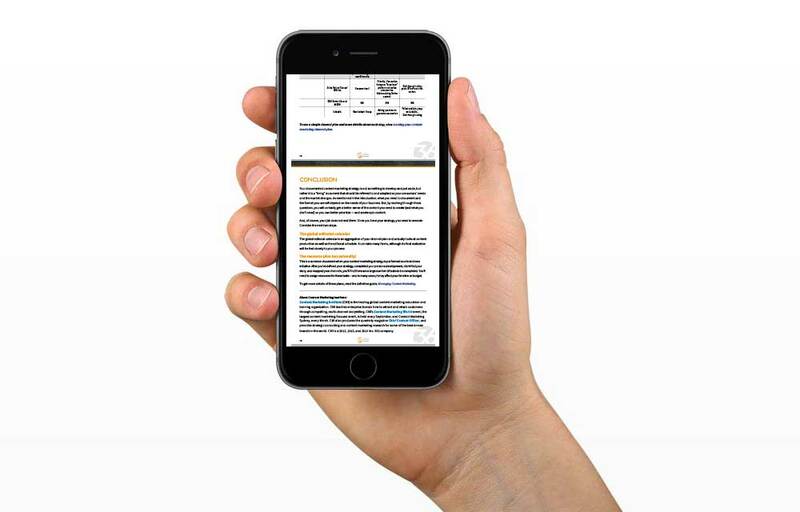 At Foleon, we pride ourselves on providing a tool that makes creating responsive digital white papers easy, even for those with no prior graphic design experience. Choosing a tool like this, which takes the guesswork out of design, will shorten the time it takes for you to produce great white papers. There is a vast ecosystem of tools out there, each of which is geared toward a different purpose and skillset. The right one will enable you as both a designer and a writer. For most companies, lead generation and growing lists of contacts for the sales and marketing teams are important activities. Attracting visitors to your site and offering them something of value in exchange for their contact information is a proven method for filling the top of your funnel. But for this type of inbound marketing to work, two things are needed: exceptional content that visitors are eager to acquire, and a method for gating (or walling off) that content behind a form. Many brands skip the first part and move straight to the second. They quickly produce something mediocre and put it behind a form. This might work in the short term for generating lists, but keep in mind that users expect more from content they “pay” for. The quality of your gated content serves as an indicator of the quality of your brand will affect your ability to turn prospects into customers down the road. So how do white papers fit into lead generation efforts? They may act either as lead generation tools themselves or can be used to direct readers to other parts of a website that captures lead information. Walling expert content off behind a form designed to capture personal details is one of the most common techniques for generating leads. Gated content is any content that a reader cannot access until after they input some personal information, such as their name and email address. White papers and eBooks are two of the most common types of content used for this purpose. Typically, a company will create a landing page that includes a description — and perhaps a preview — of what information readers can expect to find inside. The landing page will include a form for visitors to enter their personal information and thus gain access. After entering the required information, visitors are either presented with a download button or receive the gated content in their inbox. There are plenty of variations on this formula, but the basic technique of providing “free” content and asking readers to “pay” by providing their personal information has been very important part of content marketing for a long time. While gating your best content is great for lead generation, there are some drawbacks as well. Walling off your white paper will mean it gets read by fewer people as not everyone is willing to give away their contact details. It’s important to consider what the primary goal of your white paper is: disseminating information and gaining brand awareness or generating leads. If the latter is more important, then gating is a great option. Another variation on gated content — and one that’s growing in popularity — is semi-gating. This can give you the best of both worlds by allowing your white paper to reach a wider audience while still retaining the ability to generate leads. Semi-gating gives readers a taste of your white paper without requiring them to give up any info. You can, for example, make the first few pages of your white paper open access, and then make visitors fill in a form to read more. This works well because digital content is so abundant and brands must offer more for free or risk visitors turning elsewhere. Allow your white paper to reach a wider audience while still retaining the ability to generate leads. Offering more content for free also builds trust and brand loyalty among your readers. Let them know your white papers are valuable and helpful, and they’ll be more interested in giving you their personal information. You’re also more likely to gain qualified leads if readers have a chance to sample your white paper before converting. Of course, semi-gating doesn’t mean giving away your entire white paper. Typically, there’s at least one section of the white paper that is exclusive to those who go through the gating process. Semi-gating can help reach a wider audience, build trust and loyalty, increase lead quality, and still help you capture the contact information you need. There’s a concept in marketing and design known as friction. Friction is anything that causes the sales process to slow down. It’s like a roadblock that makes it less likely prospects will convert, sign up, download, or purchase. It can be caused by a multitude of things including poor design, confusing navigation, subpar copy, too many form fields, and more. Your ability to generate leads with a gated white paper will largely depend on how much friction is involved. Asking for more information than you really need is one common and unnecessary source of friction that can lead to losing potential readers. The entire field of conversion rate optimization is geared toward removing friction — or making user interactions easier. CRO specialists make forms simpler, navigation more intuitive, and design CTAs that are more likely to be clicked. Optimizing your landing page for conversions is a vital part of any lead generation campaign. But the reality is, asking for personal information will always be an obstacle for a large number of people. So the key here is to make the process easy and noninvasive as possible. 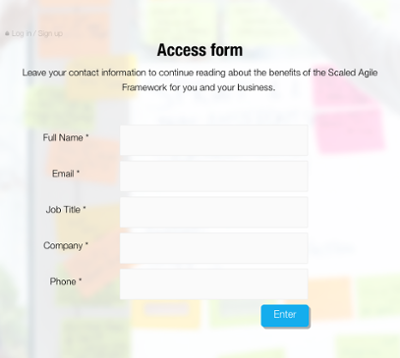 An excellent way to do this is by using social login to gate your white paper instead of a traditional form. This allows visitors to access your white paper with just one click. Not only does this dramatically reduce friction, but it also gives you more information about your leads. LinkedIn and Facebook integrations can provide a user’s name and email address, but also their work history, educational history, skills, interests, and more. So, after following the tips in this guide, you create an engaging, informative white paper that inspires readers to take action and deepen their relationship with your company. You gate it with social login to capture readers’ information and gain valuable insight into the interests and demographics of your consumer base. Now, you publish it on your website, sit back, and wait for your Pulitzer. Only, the traffic never comes… Where did you go wrong? The internet isn’t the same as it once was. Thanks to the massive amount of content produced every day for and an ever-growing number of channels, it’s a lot harder to get noticed. Unless you’re Gabriel García Márquez back from the dead, simply writing something and posting it online doesn’t guarantee readership. To get eyes on your white paper, you need to be smart not only about writing and design but distribution as well. Some content marketing thought leaders go so far as to claim that you should spend 20% of your time on content creation and 80% on promotion. Distribution is all about identifying traction channels where your ideal customers consume content and making your white paper highly visible on those channels. Depending on the audience you defined in the beginning, some will be more relevant for you than others. If you’re at all familiar with marketing, advertising, or online media, chances are you’re aware of how important social media is to visibility. People from all walks of life, and from all over the world, are on Facebook, Twitter, and LinkedIn. Ensuring that you share your content regularly on these platforms will give you a solid base of promotion on which to build. But it's not enough to simply write a post and tweet it into the void. Try to find communities like Facebook and LinkedIn groups where your target audience is likely to congregate. Search for relevant hashtags on Twitter and Instagram. Find subreddits relevant to your industry. 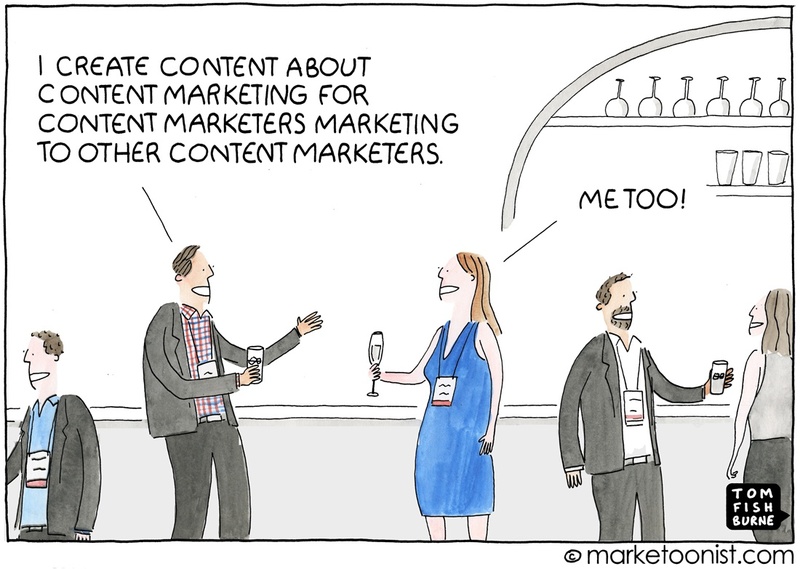 Once you’ve found your audience, it’s much easier to connect with them. If you contribute to these spaces regularly, you’ll have an easier time keeping their attention and distributing your white paper. Public relations isn’t what it once was; influencer marketing has taken its place as the way to get noticed by the masses. These days, influencers — people with large, engaged followings on social media and email — are better equipped to amplify your content than traditional journalists. They play a growing role in shaping public opinion and even in setting business trends. Shares from an influencer can even help you land spots in major publications the way press releases used to. Social media is the best place to find influencers in your vertical. When you investigate the best communities in which to promote your white paper, look for the content that people are already referencing and sharing. Eventually, you’ll start to get a picture of who’s putting out content that’s getting widespread traction. These are the people whose voices can amplify your brand. Start by interacting with them. Begin a conversation, comment on their pieces with regularity, and give them feedback on their work. There are great tools, like Voila Norbert, to help you quickly track down email addresses. After building enough rapport, try offering to collaborate on future white papers or other types of content. This process can take some time because your goal here is to build a relationship. Eventually, you can ask an influencer to share your white paper. You might even consider quoting them in the white paper itself — anything that gives them an incentive to share your work is helpful. Pro tip: Try to find an expert in your white paper related subject and interview them. It will add value to your white paper and you'll increase the chance that the expert shares your content with his or her extensive network. The jungle of online content may thicken daily, but there are a few places you can still get readers’ attention. 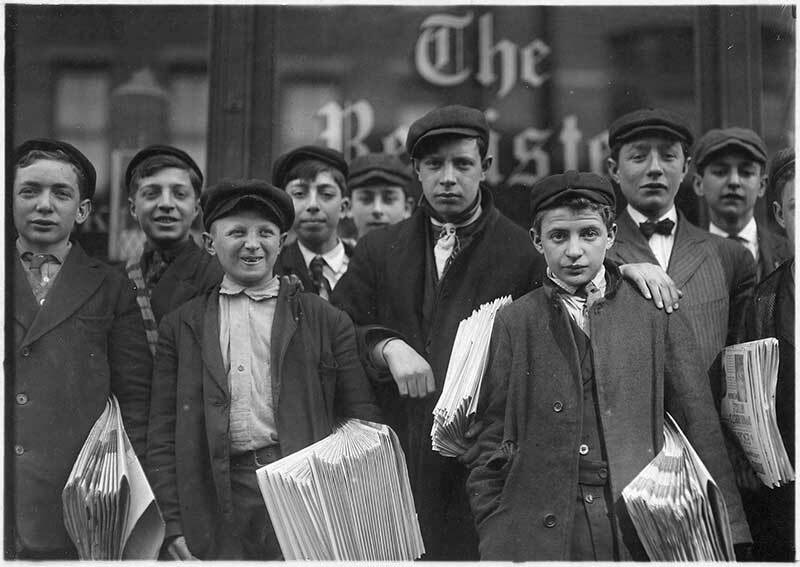 Email distribution has stood the test of time in this regard. It provides greater ROI than social, and it shows no signs of weakening. If the purpose of your white paper is lead generation, email marketing will not be applicable. But for boosting sales, building trust, and establishing your brand as a trustworthy source of information, it's important not to neglect your existing contact base. Although email may not have the appealing viral possibilities associated with social media, it does have other advantages. Namely, anyone who subscribed to your email list chose to be there. This means you can expect a higher level of engagement from this audience than those who come in via other channels. Capitalize on their loyalty and engagement by encouraging contacts to share your white paper with their networks and thus multiply your distribution efforts. This was discussed in the previous section, but it's worth mentioning again here: another big advantage of Foleon's gating features is that when your existing contacts share your white paper with their contacts, those people will be confronted with a login form that will allow you to capture their info and expand your email list further. The techniques discussed above are essential items in your white paper distribution toolbox. However, they’re not the only ones. The best way to distribute your white paper depends largely on your target audience and the industry to which your content speaks. Take some time to critically evaluate and research how knowledge is shared in your industry. Every industry will be slightly different. Reaching people in these places is the best guarantee of effective distribution. As we've discussed, white papers can serve a variety of objectives. They’re commonly used for thought leadership and to disseminate important research, relevant to a specific industry. When it comes to content marketing, however, the most common use for white papers over the last several years has become lead generation. In chapter 6, we discussed how to bring readers to your white paper and capture their information. Once you've properly gated your white paper and set up a solid distribution strategy, it's time to think about how you'll handle the leads that come in. If not properly tracked and nurtured, leads will quickly become cold and won't lead to increased sales for your company. So how do you follow up with leads and maximize the opportunity you’ve created with your white paper? The buyer’s journey outlines the steps a person goes through, from becoming aware of a problem they have, to learning about different solutions to that problem, to eventually purchasing a product or service (hopefully yours) that solves their problem. To maximize the chances your new leads become paying customers, you must take the abstract concept of a buyer’s journey and map it to your specific content ecosystem. The actions your prospects take on your website can be indicative of what stage of the journey they're in. For example, you may see someone read a blog post on your site, then come back a day later to get your white paper, and then finally sign up for a free trial or an email list. After that, they might decide to make a purchase. As patterns begin to emerge around the journey your customers take, you'll learn what actions on your part can help them to advance. There are many tools available to help you analyze this journey for yourself. Google Analytics is probably the most widely used. It lets you track and compile data regarding user behavior on your website. You can define goals and generate reports that will show you steps users tend to take before completing those goals. 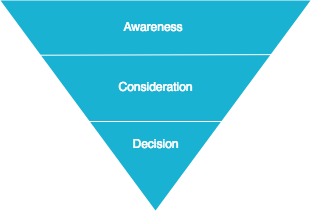 As it becomes more clear what actions visitors take before purchasing, you'll better understand where to use your white paper in the buyer's journey. The question you should seek to answer is, where does it provide the most value to your potential customers? Do you see greater success when accessing your gated white paper is a prospect's first interaction with your company? Or is it perhaps more effective to use it as an offer once visitors have returned a second (or third) time to your site? You can see that white papers don't exist in isolation but act as a member of an ecosystem. The related blog posts, landing pages, emails, social messages, and follow up sequences must all be carefully orchestrated and properly timed. This process takes practice. It takes trial and error, and you must be a keen observer of trends. However, that effort will pay off. ...white papers don't exist in isolation but act as a member of a content ecosystem. Depending on where in the buyer's journey you use your white paper, the way you'll want to follow up with leads will be different. If, for example, your white paper targets the awareness stage and the leads you gather are relatively unfamiliar with your company, it might be smart to enroll them in an email sequence that highlights other pieces of content on your site such as blog posts that are relevant to the topic they showed interest in. If your white paper is for people in the consideration stage, and leads are already familiar with what you have to offer, you might consider following up by sending them special offers or exclusive deals — again, closely related to the topic of interest. If you're taking a highly targeted approach to distribution and using your white paper to generate hot leads that you think are already close to making a purchasing decision, the best way to follow up might be for a sales representative to reach out directly by phone. This is what it means to nurture leads. By proactively keeping in touch with leads and offering them more relevant content, you maximize the likelihood of them becoming a customer. By this point, you should have all the ingredients you need to make your white paper a rousing success. However, you’ll notice by now the reality that your white paper fits into a larger ecosystem of marketing actions and content. In today’s business world, producing quality content is one of the best ways to get your target market's attention. But not everyone will be ready for the same piece of content at the same time. From white papers, to blog posts, to podcasts, the type of content that will drive conversions for your business is something you'll discover over time. What’s certain is that one type won't satisfy all your audience's needs. Because of that, you should be prepared to fill the rest of your buyer’s journey with other appropriate content. This means lots of writing. There’s no way around that. 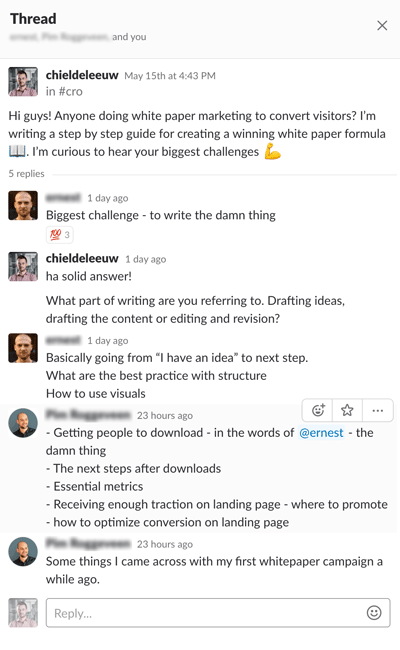 It means coming up with content ideas, creating them, distributing them, and measuring their success — then rinsing and repeating. After this primer, you should be fully equipped for success writing not only white papers but whatever content you choose along your journey.